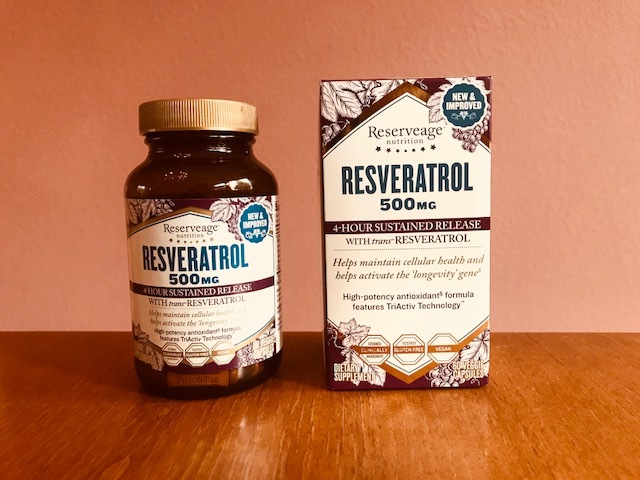 There is good news in the supplement market today-RESERVEAGE NUTRITION is introducing their new & improved RESVERATROL Supplements in 4-hour sustained release 500 mg capsules. So what is the fuss all about? RESVERATROL helps you maintain your cellular health and actually activates your longevity gene, and that’s exciting news! This highly potent antioxidant formula features what they call TriActiv Technology, providing you with a steady release of trans-resveratrol for your optimum health. It combines three different blends of RESVERATROL that dissolve at different rates over a 4 hour time period as it protects your cells from oxidation in this advanced age-defying formula. RESERVEAGE NUTRITION’s RESVERATROL also supports healthy heart function and your body’s youthful essence, similar to the benefits of red wine. You see, your body continuously forms free radicals as a result of environmental, lifestyle and aging factors. To protect cells from oxidation and breakdown, the presence of antioxidants is vital. RESVERATROL is an ultra advanced formula that sustains age-fighting activity made with RESERVEAGE NUTRITION’s prized polyphenol complex comprised of organic French red wine grapes and organic muscadine grapes. Actually, Whole Grape Technology is used to help maintain the potency of these age-fighting antioxidants, leading it to become the #1 selling RESVERATROL brand. Advanced age-defying formula helps protect cells from oxidation. Supports healthy heart function and helps activate the “longevity gene” with the antioxidant benefits of red wine. If you’re serious about maintaining your health and following a path of anti-aging, definitely make RESERVEAGE NUTRITION’s RESVERATROL a part of your daily supplement intake. Activate your longevity gene today. After all, it’s never too late to turn back the clock and get on the road to a healthier lifestyle.